Don Green Upholstery (864)277-3795About UsProudly serving Upstate SC for 43 years. This is the current location for Don Green Upholstery. The back of the building is the where the upholstery takes place. In the front is the showroom with more than 10,000 samples to choose from. We are located 2 miles from Greenville Memorial Hospital, on Piedmont Hwy. In 1972 Don and Betty Green opened Don Green Upholstery,they had one goal in mind, to provide only the highest quality craftsmanship, and offer extraordinary customer service. For the last 43 years they have accomplished this goal. 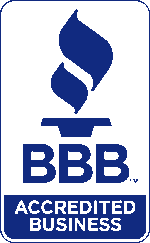 They have maintained an A+ rating with the Better Business Bureau for over 20 years. If you are not happy with a piece of furniture we do, let us know, we will do all we can to fix it to your satisfaction.